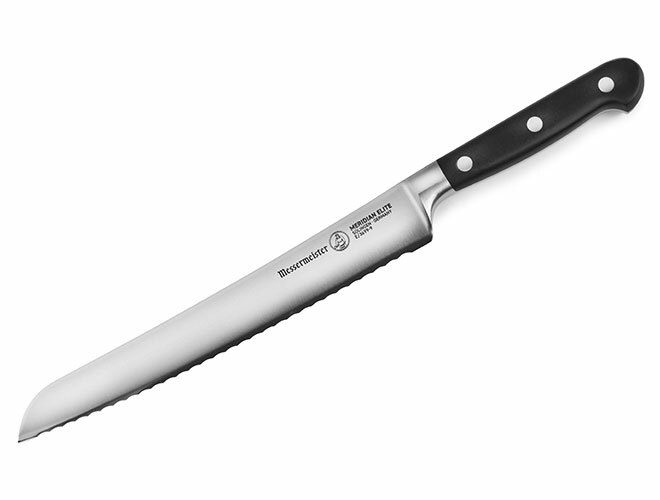 The Messermeister Meridian Elite Right-Handed Bread Knife features a scalloped edge with a gentle camber, ideal for biting into the crust of bread, allowing a smooth slicing action without exerting pressure that can compress the slice. 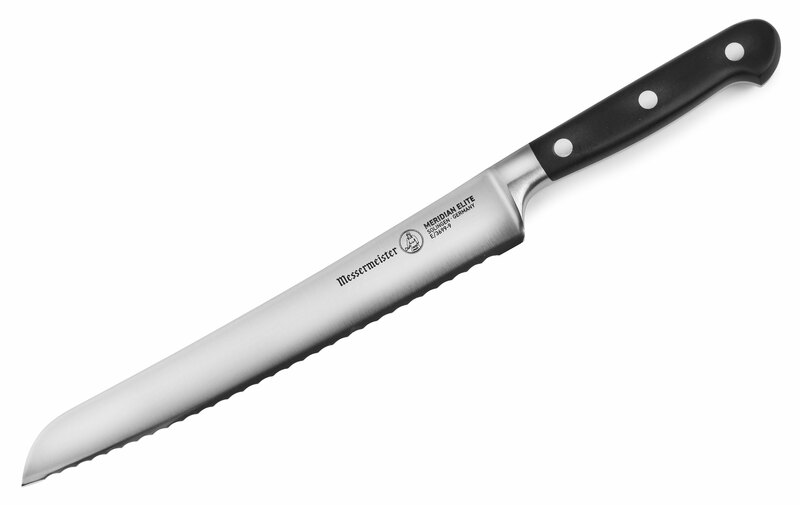 It's also used to slice through soft-skinned fruits and vegetables. Messermeister Meridian Elite knives are one-piece, hot-drop hammer forged from a single billet of the finest German stainless steel alloy and outfitted with the most durable industrial strength handle in the world. Messermeister Meridian Elite knives are handcrafted one at a time using the same techniques that have been the hallmark of fine Solingen made cutlery for hundreds of years. Messermeister Meridian Elite knives are simply the best original forged knives made in Germany.